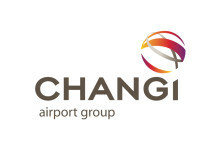 SINGAPORE, 4 December 2018 – Changi Airport Group (CAG) today announced that it will extend its key duty-free liquor and beauty concessions, held by DFS Venture Singapore (Pte.) Ltd and Shilla Travel Retail Pte. Ltd. respectively, for a two-year period each, starting from 2020, after the expiration of their current six-year concession. Over the past four years, the airport’s two core-category concessions have delivered pioneering retail concepts including unique duplex stores, the world’s first airport integrated duty-free zone, the famous Raffles Hotel Long Bar and the luxurious Shilla Beauty Loft, wowing Changi’s passengers. These innovative concepts, coupled with the concessions’ extensive product ranges and exciting in-store activations, have transformed Changi Airport’s travel retail scene and brought the airport shopping experience to a whole new level. As consumer trends and expectations evolve, CAG will continue to work closely with its retailers and brands to deliver new and memorable shopping experiences for passengers. This includes leveraging new technologies and innovations for a seamless retail experience when passengers shop from online to offline – from before they fly to the time when they board. In its pursuit to become one of the world’s best airports to shop and dine at, CAG has been working closely with the two anchor concessions to push the frontiers of retail at Changi. In the pipeline, DFS will set up two exclusive brand boutiques to give travellers an opportunity to learn about the brands’ rich heritage and craftmanship, and organise a world-class wines and spirits event with a series of hands-on tastings and masterclasses. For beauty, The Shilla Duty Free has ambitious plans to rejuvenate its existing beauty offerings. In addition to its diverse range of perfumes and cosmetics, the beauty concession will bring in new brands and makeover one of its existing stores with a new and inviting retail concept that promises to delight every beauty fan. There will also be large-scale beauty events packed with interactive workshops and special deals. The extended tenancy terms for the liquor concession will commence from 9 April 2020 till 8 April 2022, covering 18 stores and spanning over 8,000 sqm of retail space in Terminals 1, 2, 3 and 4. 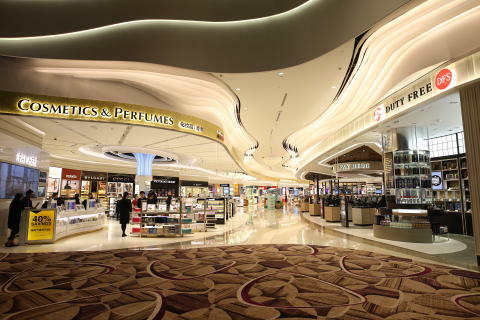 For the beauty concession, the extended tenancy terms will begin from 1 October 2020 to 30 September 2022, covering 22 outlets and spanning over 7,400 sqm of retail space across Changi Airport’s four terminals.